The shape of this Lana bag by Baginc is one of the most wanted designs of the last couple of years, aside from the Alexa and Whitney bags. What makes this particular version of the bag so covetable is its unique and quirky green color. Having a designer handbag in the one color that no one else has been spotted with lends it an air of exclusivity and chicness. After all, being fashionable means standing apart from the herd. Made of genuine cowhide leather, this soft tote has dual carrying handles so you can place it in the crook of your arm in order to show it off. The interior lining is trendy leopard print, making this bag cool down to the last details. 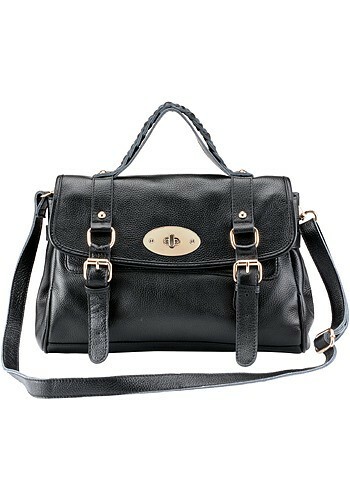 Mulberry Alexa is a Winner! 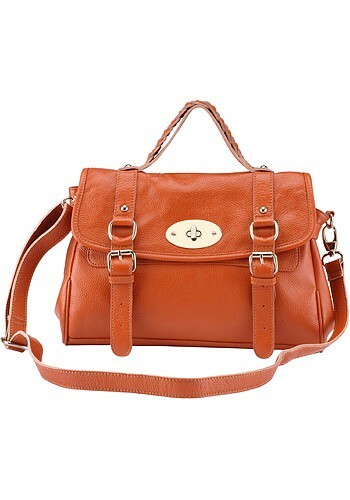 The Mulberry bag has become as ubiquitous in celebrity circles as the Stam bag or a Birkin. The most stylish of this elite set seem to have one in every shade, such is their devotion to the brand. There are a lot of gorgeous styles to choose from: The Bayswater, the Emmy, the Daria, the Antony, but we are partial to the Alexa (named for Alexa Chung, star of yesterday’s Style Stealer segment). The luxurious Mulberry Alexa will run you about $1,000. 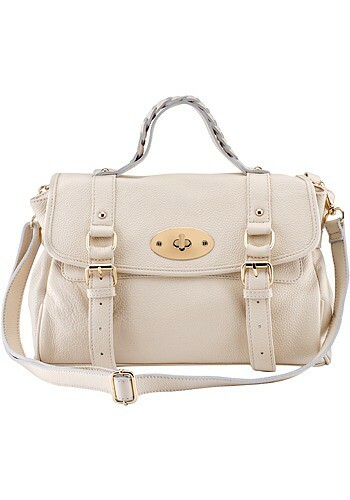 If you want to stay in style and own one of the most versatile bags around, check out our So Soho Satchel for only $59! No matter what kind of controversy Kate Moss finds herself embroiled in, she’s always bouncing back with a one fabulous ad campaign or another. This time, she’s starring in Longchamps new handbag campaign for fall. We took this news with a grain of salt, only because the two ideas (Kate Moss + Longchamps) seemed unsual. There was certainly a lot of gossip in the fashion industry about this particular ad campaign, as major design houses tend to want to distance themselves from controversial models. Since 1948, Longchamps has been making posh bags for posh women. Longchamps bags favor solid structure, rich leather materials, and bold hardware. Some may find it unusual to pair the bohemian, free-spirited Moss with a traditionally stuffy line of handbags, but Kate Moss’s new fall 2010 ad campaign for Longchamps hits all the right notes. Moss can really glam it up when she wants to. In the Longchamps ads, she looks soft, feminine and sophisticated. With just the right amount of polish and approachability, Moss is able to transform these bags into something every girl wants.